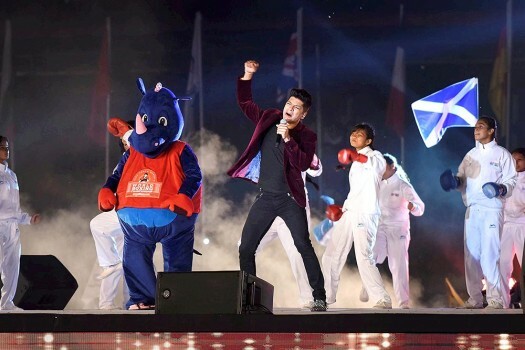 Bollywood singer Shaan performs during the opening ceremony of AIBA Youth Women’s World Boxing Championship in Guwahati. 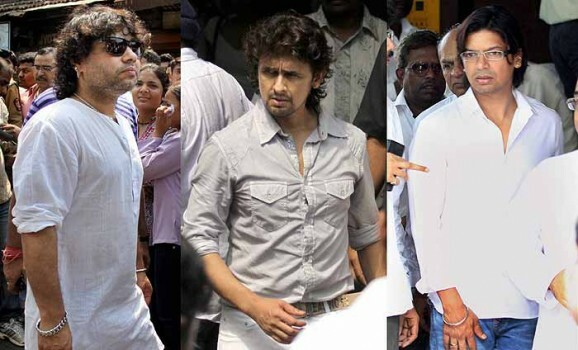 Singers Kailash Kher, Sonu Nigam and Shaan during the funeral ceremony of Ghazal maestro Jagjit Singh in Mumbai. 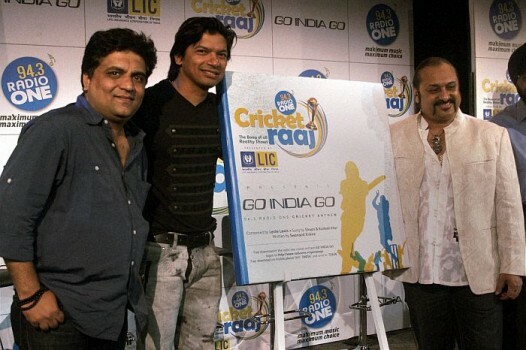 Lyricist Swanand Kirkire, singer Shaan and music composer Leslie Lewis during the launch of cricket anthem 'Go India Go' in Mumbai. 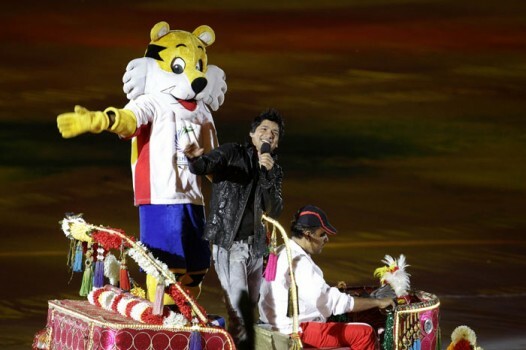 Singer Shaan performs the official song of the Commonwealth Games mascot Shera, left, during the closing ceremony of the games at the Jawaharlal Nehru Stadium in New Delhi. Shaan and his son Shubh collaborates to reprise DuckTales, which narrates the adventures of Duckburg's family of ducks. He refused to shift to Mumbai, stayed in Chennai, recorded in his own way. That aura as a composer works for him.